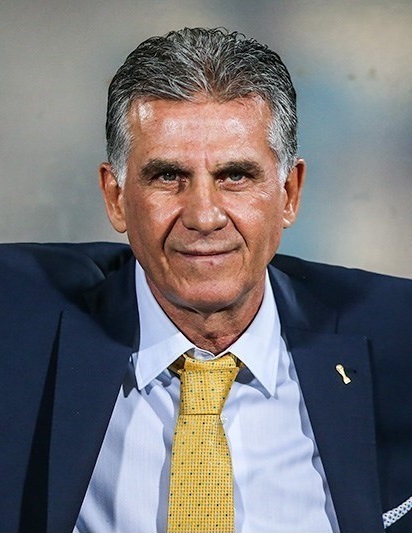 With one match remaining (Mashinsazi Tabriz v Saipa Alborz deferred on 8 January 2017) to complete Week 15 of Persian Gulf Pro League- that means half of the season – and after Hazfi Cup quarter-finals, head coach Carlos Queiroz named 24 players for Iran training camp in United Arab Emitares. It is not yet clear if Team Melli will face Morocco in a friendly originally scheduled for 6 January 2017. The Portuguese coach did not invite Iranian footballers that play abroad (better known as Legionnaires), except for Milad Mohammadi who plays in Russian club Terek Grozny. Notable names are: Zob Ahan offensive pair Pahlevan & Tabrizi; penalty specialist Iranpourian; unexpected top scorer Sasan Ansari (who scored 12 goals in 10 appearences for Foolad Khuzestan). Below the current list.